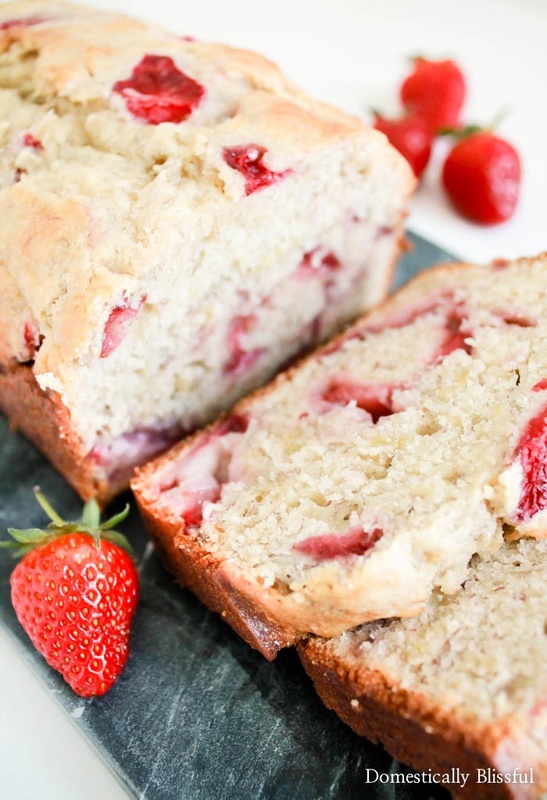 Strawberry Banana Bread is a pink twist with fresh sweet flavor on a classic recipe. A few weeks ago I went strawberry picking for the first time with my 2 sister-in-laws & their little ones. I’ve been to many apple orchards over the years, although more so as a child, but I had never been strawberry picking before & I was extremely excited. Before leaving on this strawberry adventure I made a deal with Roger not to come home with a carload full of strawberries because there is no way the two of us could eat an enormous amount of strawberries before they go bad. And so I was determined to try my hardest not to pick too many. I felt like a kid in a candy store with no supervision. It was a good thing my little nieces were distracted by picking flowers about five minutes into strawberry picking or else I might have plowed over them in search of the hidden pink treasures. Just kidding, but seriously, I was on a strawberry picking spree! I ended up picking 2 & 1/2 buckets of strawberries, which isn’t too bad for a newbie strawberry picker, but I knew I couldn’t bring them all home. So I shared one bucket with my family & saved 1 & 1/2 buckets for me because I couldn’t part with any more of those little pink treasures. The only problem is that 1 & 1/2 buckets of strawberries were still too many for the two of us to eat. So I knew I needed to create a few new strawberry recipes to help use up all of the strawberries before they went bad. So on top of the 2-3 Fresh Strawberry Vanilla Milkshakes, I also made a few new recipes to share with you all over the next few weeks! 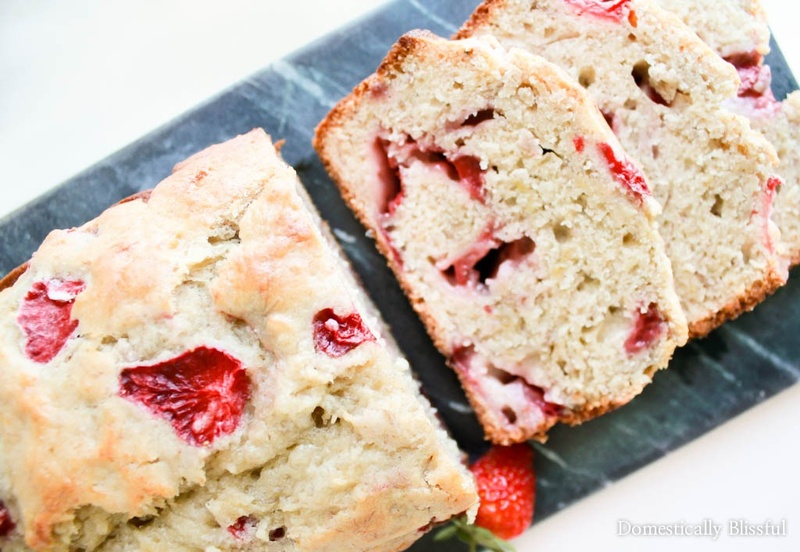 Which brings us to this Strawberry Banana Bread! 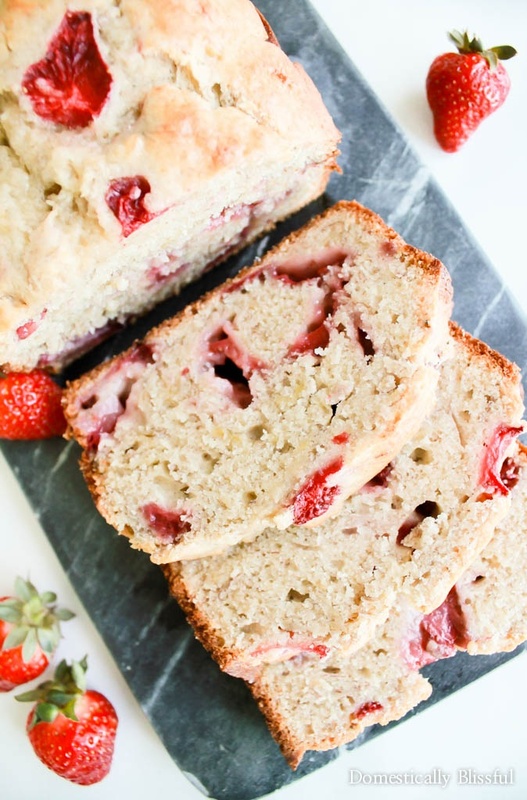 And I’ll let you in on a little secret, I may like this Strawberry Banana Bread more than regular banana bread because it’s filled with sweet pink berries! Plus it looks so pretty! Next week I will be sharing another new strawberry recipe, but if you can’t wait until then, be sure to also check out these Strawberries & Cream Popsicles! And [thrive_2step id=’13168′]don’t forget to subscribe[/thrive_2step] or follow me on Pinterest & Instagram so you don’t miss out on any of these yummy new recipes! First, spray the bread pans with oil & preheat your oven to 350 degrees Fahrenhigt. Mash the bananas on a plate, removing any bad spots, & set them to the side. Sift all of the dry ingredients, except the sugar, in a bowl and set to the side. In a separate bowl blend the 1 cup of sugar & the 1/2 cup of butter into a nice cream. Then add one egg at a time, beating well after each addition. Blend in 4 heaping tablespoons sour cream & 1 teaspoon pure vanilla extract. Mix the mashed bananas into the wet ingredients until combined. Slowly stir the dry ingredients into the wet ingredients, just until combined, & do not over mix. Fold in your flour covered strawberries & pour your banana bread mixture into the bread pan & bake for 25 minutes. Once golden brown cover with foil and bake for another 15 minutes or until the toothpick comes out clean. *1. I often use defrosted frozen bananas, just be sure to remove any excess water. What is your favorite way to eat fresh picked strawberries? Oh, the depth of the riches of the wisdom & knowledge of God! How unsearchable his judgments, & His paths beyond tracing out! Do you have the nutritional information for this recipe? I would love to know those details if you have them 🙂 Thank-you! 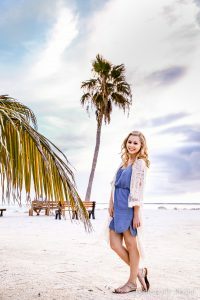 Unfortunately I do not know the nutritional information for this recipe, however, there are recipe nutrition calculators that you can find online to calculate the nutritional information for any recipe. This seriously looks so yummy but easy! 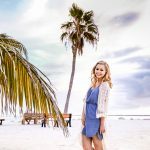 I actu have a Bunch of frozen bananas in my freezer and wAs trying to decide what to do with them! I think i found my answer…this looks so good! I have never tried strawberry banana bread. Looks so delicious Saving this recipe so I can make kt laTer. Thank you for sharing. Oh my goodness, this looks amazing! We have some extra strawberries in the fridge that need to be eaten and black bananas on the counter. I know what i’m making this week! i just took my little guy strawberry picking earlier this week! i’ll have to keep this recipe in mind because we definitely need to make something to use up all these strawberries! How fun! I’m sure you two made many wonderful memories! I wish I would have found this before I made banana bread today. I have strawberries to use up and this would have been perfect! Oh no! Isn’t that always the way? I have never been strawberry picking, but like you I have been apple picking. So this sounds like a great family fun day activity. And I would have never paired strawberries and bananas in bread, but if it works for smoothies I know it can work for bread. Yum! Yes, perfect family activity! I knew it was going to be fun, but I didn’t realize just how fun it would be! This looks delicious. 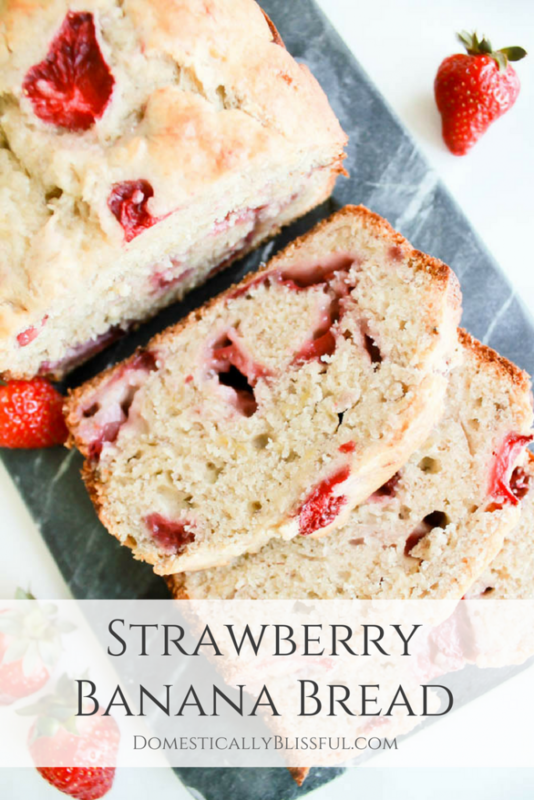 I love banana bread and strawberries so combining them sounds like a great idea to me! This looks really good! I love all things strawberries once the season hits. I think this year we’re going to take my two year old to go strawberry picking so we’ll have to make this once we get a batch! 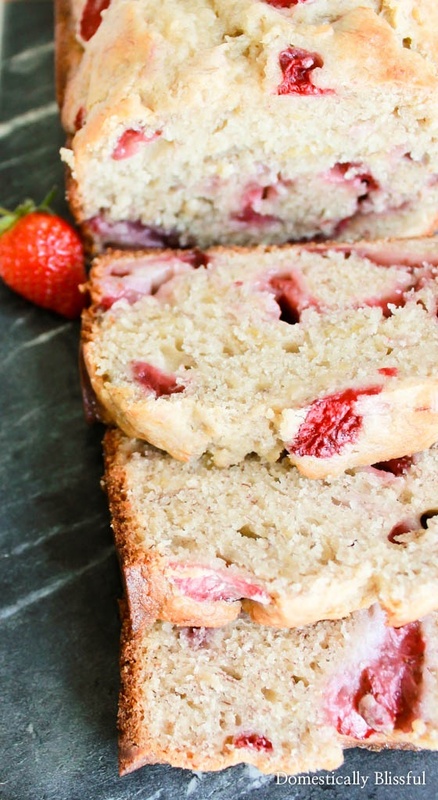 I never thought to make strawberry banana bread, but my gosh, it looks so scrumptious! 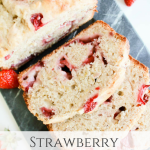 Never made strawberry bread before, looks good so will have to try it out.